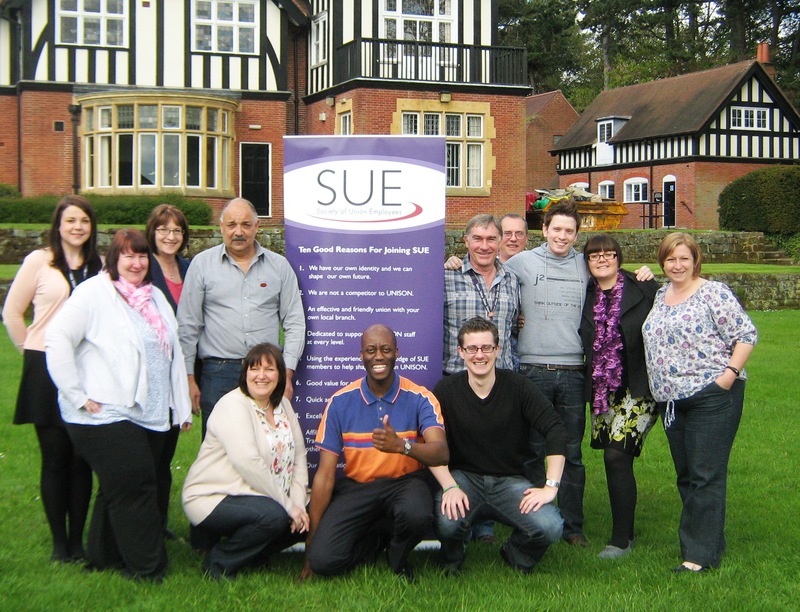 Attendees on the Introduction to S.U.E. with Angela Gerrard (SUE Education Officer), Dee Griffiths (Education Officer Elect) and Jocelyn Pettitt-Rose (President). It was a 2 day course for new and/or future SUE activists on 26th and 27th March at Aston University in Birmingham. Accommodation and travel expenses are met by SUE. The previous training course was run in May 2017 and it was a very enjoyable course with many of those participating becoming more active in SUE; a number of whom are now active on the current SUE Executive. The Society of Union Employees also works with the GFTU to provide fantastic free learning and development opportunities. To find out more check out the links below or email our Education Officer, Angela Gerrard; email a.gerrard@unison.co.uk or telephone 0115 847 5454. 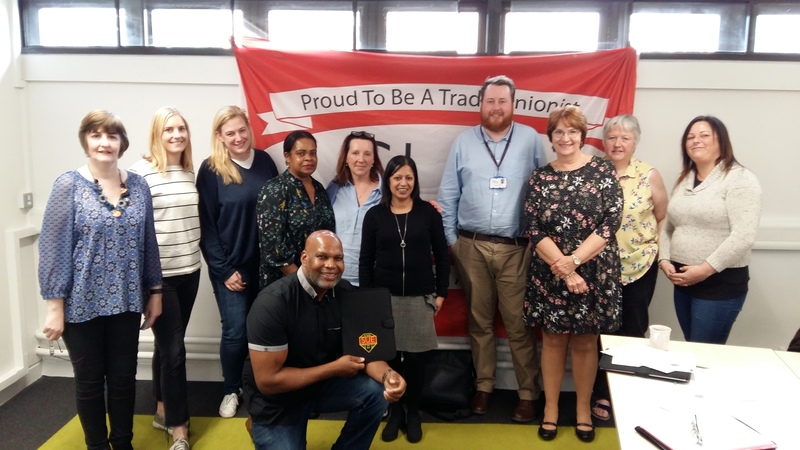 Applications to attend GFTU courses can be made on-line at the GFTU website or by completing an application form at the link below and forwarding it to Angela Gerrard, UNISON Regional Centre, Vivian Avenue, Nottingham, NG5 1AF. Further information can be found under the GFTU On Line Learning Tab on this website. Most importantly, make the most of your SUE membership by accessing some of these free training opportunities.